3am on a Wednesday. Daughter is crying and sick. 3:01am. Daughter is still crying and sick. I realize my wife isn’t home so lying in bed to allow her compassionate side to cave and take care of the baby isn’t going to work. Claire is cranky, but not the usual I-wanna-watch-Dora-now sort of way. Claire is sick. Possibly the worst kind of cranky. I put my hand on her forehead and she is very hot. I get her water and take her temperature and sure enough she has a fever. Tylenol comes out and she goes back down. I am tired and have my right nostril completely clogged. It’s pretty gross. As I begin to move I notice that my body hurts. I’m not really sure why. My head also hurts. The kind of hurt you get from drinking too much. I didn’t drink though. Seriously. I go to my daughter’s room and she still has a fever. I get her up and give her more Tylenol. Thank God for Tylenol. Claire wants to cuddle on the couch, which is another sign that she is sick. Claire doesn’t normally want to cuddle; instead she wants to run at 50 mph yelling at the top of her lungs. Luckily cuddling is less loud and something I can do. I take coffee, orange juice, a waffle and the remote to the couch. Claire and I watch Dora’s less annoying cousin, Diego. Apparently he is allowed to have his own show…Claire’s Tylenol has kicked in and she watches two episodes without making a sound. Thank you Tylenol! I attempt to do my morning prayer but begin to fall asleep and my once clogged nostril has decided to let go off its content on my iPad. As gross and as OCD as I am, I leave the snot and nap. About 20 minutes later I wake up to Claire wanting more juice. I guess this is a good time to clean the iPad. Claire gets more juice and we cuddle some more and read her books. There is this sick-person to sick-person understanding that we are not going to be too needy and this will be a very chill day. Books are read and then, we go and draw some pictures. 1:15pm. Claire has gone down for her nap. All is quiet and I am really contemplating taking a nap myself. Why am I still typing? 4pm. Claire wakes up and is feeling much better. We play and eat and eventually we go to her room at 8:30pm. More cuddling occurs followed by stories. A couple of weeks ago my wife told me about this “Daddy-Daughter-Dance” that our local YMCA was putting together. It was going to be a two-hour event where we would dress up, get our picture taken, make crafts, eat snacks, dance and get an ice cream Sunday. I signed up for it and told my daughter about it. Claire was very excited. It is really interesting seeing how Claire was able to recognize that this was going to be a special event just for her and I. Leading up to the dance Claire would talk about going and how it would be fun. About a week before the dance Claire got a package in the mail from her aunt. Auntie had heard that Claire was going to a dance and bought her a slick pair of black dress shoes. The shoes solidified for Claire that this dance was a big deal. Apparently a woman’s DNA is wired to respond to shoes in a way that I simply cannot quite wrap my mind around. Shoes = big deal. I guess this is a universal norm. The day of the dance Claire was talking about it and I was busy working on the closet shelving system I was installing. As I finished my project I jumped into the shower and quickly dressed. My wife was busy getting Claire ready. At one point I walked by Claire’s room and saw her in her dress and she said, “No Papi. Not yet. I not ready.” I complied and walked away. Once my wife was done getting our daughter ready, Claire walked out with a big smile and a look that clearly sought my approval. I told Claire how beautiful she was and it was obvious that she was eating up my words, smiles and hugs. The rest of the night was great. I twirled my daughter around on the dance floor, told her how beautiful, strong and smart she was. We made a ladybug craft and ate too much ice cream. Our picture was terrible (the “picture people” were not pros) but the overall night was fantastic. Claire recognized that she captivated me; that her father genuinely desired to spend this time with her. The other fathers at the dance were equally captivated by their daughters—it was really cool to see. We all had these looks of awe and wonder as we saw these glorious little beings twirl around the room. As Claire and I drove home I realized that these two hours had been a powerful exchange between her and I. My daughter genuinely felt love from me in the form of this Daddy-Daughter-Dance. Some of my friends have taken their daughters to dances like this in the last few weeks and I have seen social media filled with pictures of little girls twirling with their dads. It’s pretty awesome! My favorite moment at the dance was not with my own daughter; it came about when I saw one of the other dads with his daughter and another little girl who wasn’t his child. In the exchange that the girls had with the man you could tell they were not sisters. Who knows what that one girls situation is and why her daddy wasn’t there. The beautiful thing was that someone else was “daddy” in that moment, and was twirling her. This little girl was loved and more importantly, she knew that she captivated this daddy. Advent: 4 Ways to Become a Better Man & Father this Season. 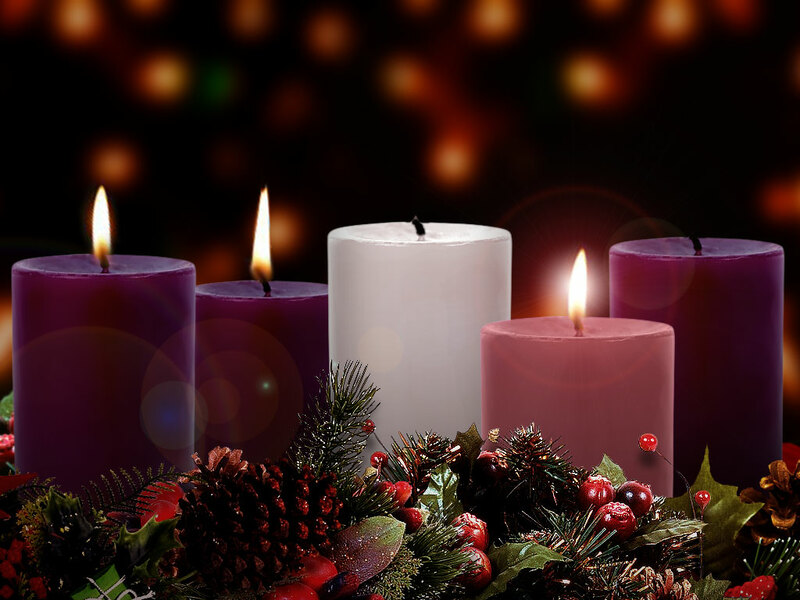 In the Church, Advent commences the Christian New Year. Advent is the season that most retailers miss between Thanksgiving and Christmas. Advent is a preparation in anticipation for the coming of Jesus. Most people focus on Jesus coming during Christmas, but there are two other “comings” of Christ that occur. The Second Coming refers to Jesus final coming in time where He will take His peeps to Heaven and the rest well…you know. The third coming, which technically should be called the second coming since it happens between His birth (first coming) and the final coming at the end of time (second coming) is what I call a daily coming. This is the daily decision to let Jesus come into our hearts and literally reign over all we do. For many people Advent is completely off the radar and gets surpassed by shopping, planning family gatherings, etc. I want to challenge all men (and women too. I know you read this, but I’m focusing on dads primarily) to use this season of Advent as a way to help you become a better man and father. So here are four ways to let the season of Advent transform you. Daily Invitation: Does Jesus have a place in your daily life? Is He a Christmas and Easter thought only? If so why? There are many reasons why this could have happened. The question is do you want it to stay this way? If the answer is ‘no’ then challenge yourself to doing some daily reading this Advent. Go online, to a bookstore, etc. and find an Advent Companion. Here are a few: Magnificat, LivingFaith. Maybe you are one of those dudes that don’t like to read, so here is an option for you: redeemedonline.com. This website gives you a 2 minute daily video on Advent that you can reflect on. You are going to die: Eventually we all do. Advent has us reflect on the reality that Jesus’ Second Coming is going to happen and how we lived will have a huge impact on what happens after you die. The point here isn’t so much to focus on death, but to help you reflect on how you are living so that you are on the right side of this Second Coming. If you dropped dead right now where would you go? Something worth thinking about. Serve your family: This may seem like a no brainer and something you already do. The question is how can you do this better? Most men are really good at serving their families by working and providing for their material needs. What about other needs like quality time with your spouse or kids? When was the last time you had a good conversation with your son or daughter? When was the last time you did something for your wife so that she could have a few hours of free time? I don’t know about you guys, but I find myself constantly trying to get things my way and this is not ok. Being a man means being able to sacrifice and serve—it is at the core of who we are. Your family’s overall health: How is your family doing in the following areas: physically, emotionally, spiritually, and intellectually? Are you all overweight and not eating well? Do you have some way to be physically active? If not, walk around your block once a week as a family, or go to a park and walk together. Can your family members communicate emotions, feelings, thoughts in a healthy loving, yet challenging environment? Having a dinner or after dinner discussion once a week on how everyone is doing is a great way to check in. What is your family’s prayer life like? Is it just grace before meals? Besides the fact that Church on Sundays should be a priority what are you as a father doing to lead this effort? How about taking that Advent companion and doing the reading and reflection during dinner and have everyone go around and share their thoughts. How are you challenging your family intellectually? Do you read articles, books, etc. on things that help them flex those brain muscles? Why not once a week present some discussions on a topic that will make your kids think beyond what they are accustomed to? It could be political, moral, ethical, etc. The key is getting them to think and grow in their intellectual capacity. I know that these four things may seem like a lot, but the whole point of having a time to reflect and push ourselves is so that we can live better lives. Advent is here and will be gone in the blink of an eye; will you be a better man and father after the fact? Will you have helped your family be better after the fact? Maybe all four of these are too much for some of ya’ll. That’s fine. Do two. Do one, but definitely do something. Horse costume. Check. Flag with fleurs-de-lis. Check. Sword. Check. Home made Saint cards. Check. Fifteenth century French-like soldiers helmet and armor. Umm…we may have to improvise. All Hallows’ Eve, also know as Halloween is right around the corner and my wife and I are preparing our daughters costume. We have started a tradition in our household where each year we dress our daughter up as a particular Catholic saint. Last year she was St. Clare of Assisi after her namesake. This year she will be St. Joan of Arc. One of the things we are adding to this years Halloween tradition is that we will have our daughter give each home she visits a homemade card with a picture of St. Joan of Arc on the front and a little bio of her life on the back. 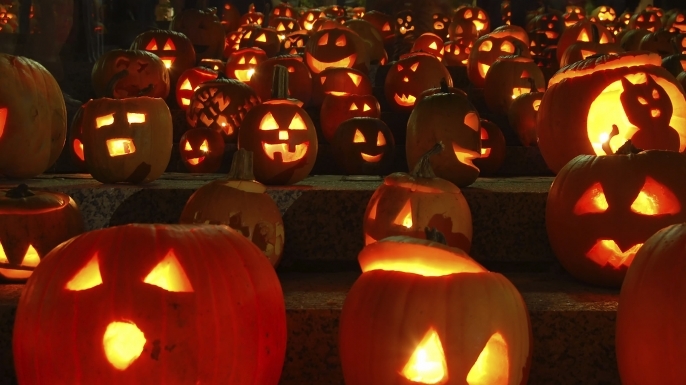 There are many Christians who have various thoughts on the matter of whether or not to celebrate Halloween. All Hallows’ Eve is literally the eve of All Saints Day (November 1st) in which we celebrate the life of all the amazing Saints that have lived their lives for Christ in an exemplary way. All Saints is part of our Christian history and therefore a big deal. I am a Youth Minister and I believe that God uses young people to change the world. If you don’t believe me, pick up a bible and read it. Many of the stories in the scriptures where God calls someone to do something amazing, involve a young person (i.e. David, Mary, the Apostles, etc.). I find Halloween to be an incredible opportunity to go and share those stories and the stories of the saints with people who may never get a chance to hear them. Also, it gives my daughter and opportunity to be one of those young people God uses to change the world. More on that later. We’re working on the enunciation. Will people read the Saint card? I think they will at least look at it since a cute toddler is giving it to them, and maybe later that night they will read it. Will this card change their lives? Probably not, but it is hard to say. We don’t know how a person may react to a mixture of the Holy Spirit, our family’s prayers and a cute child dressed as a Saint. Here is the other thing. The reaction of the person who is receiving the Saint card is only part of the equation. My daughter learning to creatively share her Catholic faith is the other part. Claire needs to learn at a young age that her faith is not hers to keep. Claire (she’s 2 and a half) needs to be able to experience evangelization (aka sharing the faith) at this early age so that she realizes that this is normal, and what all Christians are called to do. Experts say that at this age kids absorb everything they hear and see, so it makes sense that we would want them absorbing how to share the faith as well. Evangelizing is not limited to special holidays and seasons, but Halloween gives our family an opportunity to do this together in a safe, and easy way with people we may never get another chance to connect with. Discovering fatherhood requires that I take every opportunity I can to help my daughter grow and become who God is calling her to be. It also requires that I help my daughter learn that the gift of faith we have is so precious, so awesome and so needed in our world. Halloween will come and go, but the opportunity my daughter has to share the life of St. Joan of Arc will help her be a better follower of Jesus and with a little luck, some prayers and a cute costume we may just touch someone’s heart. I am having a bit of a dilemma with the subject of this post and I am writing about it because this site is about “everyday daddy stuff” and this constitutes that. Also, because I believe there are plenty of other men who have gone through this situation and I could benefit immensely from their suggestions, comments and wisdom. The moment I was married my mind began to think differently about various subjects (it’s supposed to). Life insurance was one of those things. If I die I want my wife to be taken care of. I also realized that my bachelor pad habits were not great and needed to change, furniture included. When Claire was born there was another change in me. This change picked right up from where I left off after getting married. I had a wife and now, a daughter. My wife could take care of herself, but my daughter is utterly helpless. I had to think about things I have control over: baby gates, electrical socket plugs, and kitchen cabinet locks. Also in the mix were things that I may not be able to control: school districts, public or private school, neighborhoods, and the people in the said neighborhood. So Claire and I were at the playground a few days ago. My daughter was going down the slides and running through the various obstacles there. As Claire went down the slide I saw a car coming. In the car was a really huge Malamute (like a Husky, but bigger). Also in that car was a Great Dane. I immediately went on alert because those are huge dogs that I have no control over and I don’t know what they will think upon seeing my little girl. The dogs both got out of the car and proceeded to take their owners on a walk. The dogs were fine, but I had this thought on my mind. What if both, or just one of those dogs attacked my little girl? What could I do? I have a pocketknife, but I’m pretty sure that wouldn’t work out so well with dogs that big. So I am thinking differently about lots of things. Guns are one of those things. It would be one thing for me to get beat up and mugged, but it would be a whole other ball game if my wife or daughter were involved. So I am discerning whether or not I should get a concealed carry permit and carry a gun with me at all times. I want to protect my family, which I have a right and duty to. However, I am also a Catholic Christian man who wants to help others come to see the awesome power of Jesus and what He can accomplish in us. Never in my life have I wanted a gun on my property. When I was single, if someone were to break into my house I would probably invite him or her to chat about Jesus over pizza before they took off. I know that’s weird, but that’s how I use to think. I only had myself to think of then. Maybe I am being paranoid. Am I being paranoid? What are the odds of someone or something trying to attack my family? Are those odds better than one of my kids getting to my gun and shooting themselves or someone else accidentally? There are also the practicality factors to consider. If I carry a gun I have to be aware of it at all times. I have to know where I can go with and without one. If I cross from VA to MD, or SC with a concealed weapon is it all the same thing? Is it cool in one state and you get fined in the other? What about comfort? The gun will be on my person, which I can’t imagine is super comfortable. Will others who know, or can recognize the outline of my gun under my shirt feel comfortable with me carrying? Will I become a threat to someone else if they recognize I’m carrying a gun? This is what I am thinking about right now: babies, guns and Jesus. So what is the answer here? I don’t want to become a crazy gun owner that is uber paranoid and thinks everyone is a threat to his or her family. Yet, I never want to be in a situation like the one I mentioned above and not be able to defend my family. I realize very clearly that things happen and we are not able to control them. I really do get that. I also really trust that God has my family’s best interest in mind, but not all of His children necessarily see it that way. Some people make mistakes and chose to hurt others. Does the act of me carrying a gun deter someone from choosing to harm my family and I? If not, should I respond to that violence with more violence? I am called to protect and defend my family but are guns the answer?